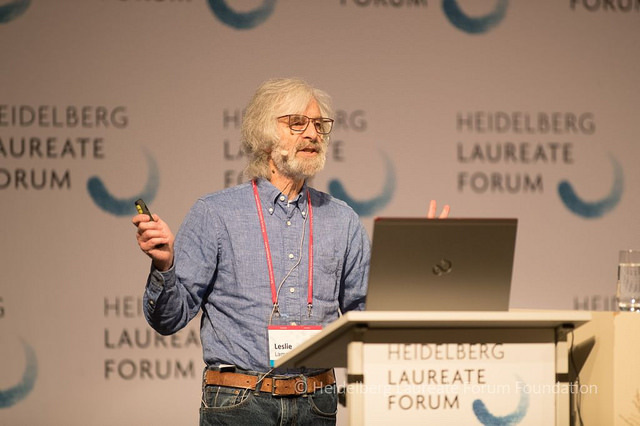 At last year’s HLF, Turing Award Leslie Lamport gave us his (not wholly complimentary) thoughts on the state of proof-writing in mathematics. Since he has worked in both maths and computer science, members of the latter discipline may have felt they got off quite lightly. Perhaps to redress the balance, this year we found out what he thinks is wrong with most people’s code and algorithms, in a talk titled If You’re Not Writing a Program, Don’t Use a Programming Language. HLF Blogs: What is the Riemann Hypothesis? This year at the HLF there are multiple sessions in the program concerning the Riemann Hypothesis, including a talk from one of the laureates, and one of the young-researcher-led workshop sessions. But what exactly is the Riemann Hypothesis, and what is its place in mathematics? We spoke to Nat Alison (@tesseralis), creator of the amazing Polyhedra Viewer. 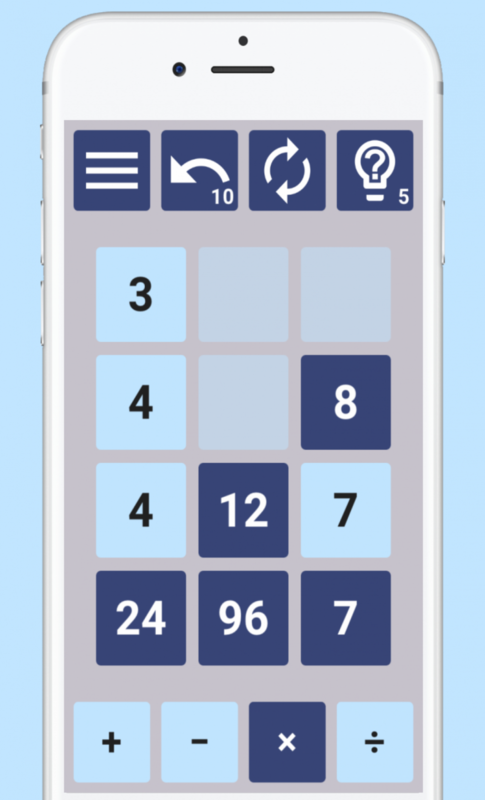 Number Drop is a mobile app maths game we came across recently, and have taken the opportunity to have a chat with its creator, Ben. NumberDrop is available for on the Google Play Store and Apple App Store. 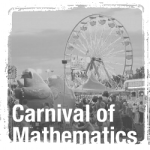 This is the 158th Carnival of Mathematics, a monthly round-up of interesting maths bits from across the internet. Convention dictates that I now therefore specify some interesting facts about the number 158. Unfortunately I am writing this on a train with no internet access, which will make fulfilling this obligation more than usually challenging. Since blogging for the Heidelberg Laureate Forum last September, I’ve now started writing regular posts for their all-year-round blog, which is hosted at Spektrum SciLogs. Keep an eye on the Spektrum blog, and the Aperiodical Twitter feed for news of further posts! For a while now I’ve been fascinated by the story of Claude Shannon, the pioneer of information theory and the originator of many fundamental concepts now used in all modern manipulation and transmission of data. Being sent a copy of this biography to review was a great chance to find out more about his work and life. The authors, who describe themselves as biographers and writers foremost, have taught themselves the mathematics they need to explain Shannon’s work, and weave in some excellent and succinct explanations of the concepts amongst a fascinating human story. From his early years as an enthusiastic maker and tinkerer, through his various university courses and his placement at Bell Labs, to his later years at MIT and retirement, Shannon’s life is chronicled in detail, with a spread of well-chosen photographs to accompany the story. Claude Shannon is described as the father of information theory – his seminal 1948 paper outlined concepts including the fundamental nature of binary numbers (coining the word ‘bit’, a binary digit), information density, communication channels, and the theoretical Shannon Limit of how quickly digital information can theoretically be transmitted in a noisy channel. These ideas predated even simple computing machines, and Shannon’s work was perfectly timed to provide a foundation for those creating early computers. The story gives a real sense of how Shannon was well placed to create the mathematics he did – with a sharp intellect that was torn between his love of abstract mathematical theory and his fondness for hands-on inventing and engineering, he had just the right mindset to see what communication theory would become and how it could be made rigorous in a mathematical framework. It’s also fascinating to learn about Shannon’s other passions in life – nothing he did before or since comes close to the major impact his work on information theory had, but it was far from his only passion. Other areas of mathematics and engineering, as well as pastimes including juggling, stock market predictions, and building robots all fell to his mighty intellect and he brought huge joy to the people around him with his stories and ideas. The book is well written and lovingly put together (and has a frankly beautiful cover in the hardback edition). It was enjoyable to read, and full of interesting facts and stories. I didn’t realise until reading this book that a wooden box I have at home, which has a switch on top that when flipped, engages a robotic arm that pops out and flips the switch back again, is a modern incarnation of an invention of Shannon’s – he called it ‘the ultimate machine’, one which switches itself off. Knowing this was his original creation, and the joy I find in it, gives me a real sense of connection to this brilliant mathematician whose work changed the world for all of us. 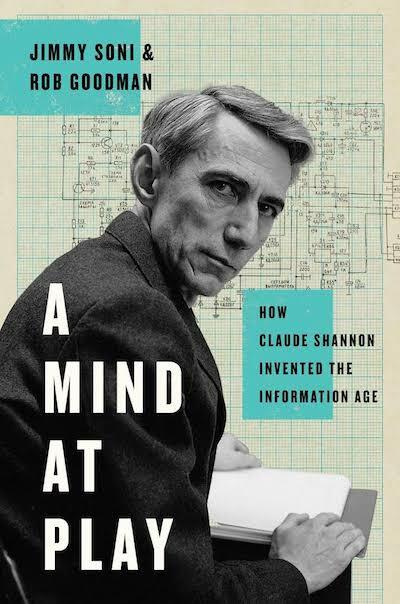 A Mind At Play: How Claude Shannon Invented the Information Age by Jimmy Soni and Rob Goodman is published by Simon and Schuster.